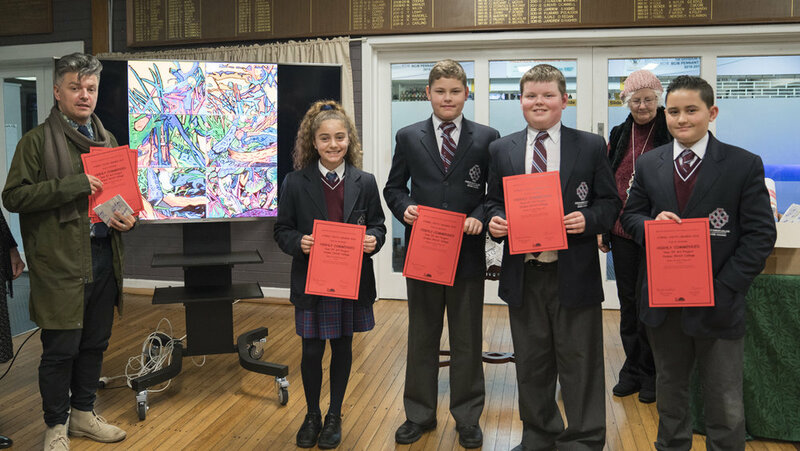 Once again, Corpus students have been chosen to exhibit their artwork at the annual Atwell Youth Awards, held at the Atwell Gallery in Alfred Cove. This year, we achieved a number of Highly Commended awards across the various categories, as well an overall prize winner in Year 12. 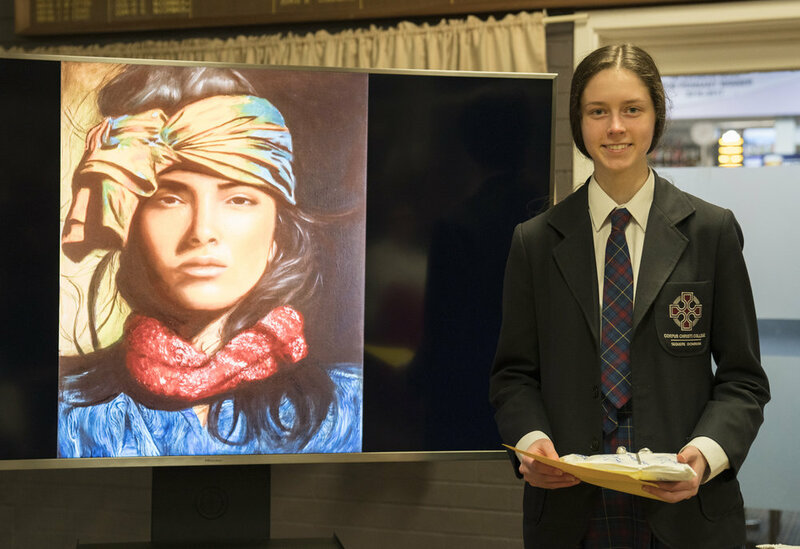 Of the seven entries submitted by the College, five received awards – this is a fantastic achievement for both the Visual Arts students and the Visual Arts staff (teachers Julie Pannell and Gaby Fabris, supported by art technician Trevor Bly). 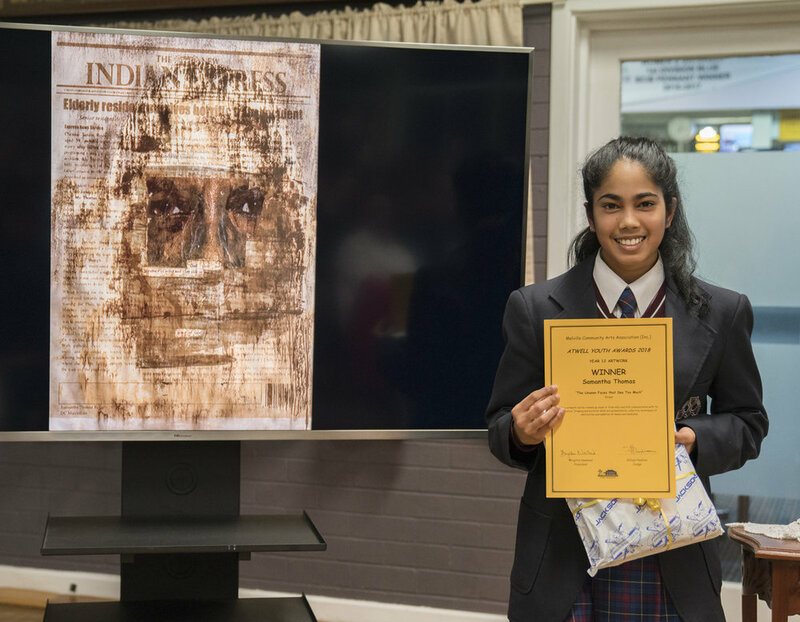 The entries were innovative and creative, showcasing the highest standard of work across all visual arts disciplines and year levels. Exhibiting and showcasing student artwork outside the immediate College community provides an opportunity for students to strengthen their creative spirit. Exhibitions such as the Atwell Youth Awards allow the community-at-large to engage with student work and celebrate local talent. The Visual Arts team believes these opportunities continue to build resilience and confidence amongst the students. Year 7 Art Project: Finlay Snooks, Alessia Andritsos, Natasha Bozanich, Christian DeAbreu, Monet Grader and Fletcher Tennent for their acrylic piece, "Where the Wild Things Are"
Ellessea Martincic (Year 12), for her graphite piece, "Strength Hidden within the Shadows"
Amy Riordan (Year 11), for her painting "Beauty in Time"
Hayden Tarzia (Year 11), for his intricate wood/paint piece, "Portrayal of Society"
Samantha Thomas (Year 12), for her piece "The Unseen Faces that See Too Much"